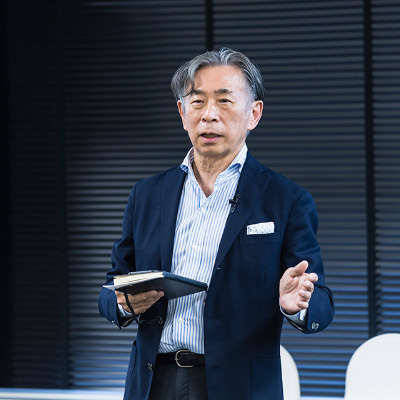 Noboru is President of KIRO, Inc. (Knowledge Innovation Research Organization), as well as holding the positions of Professor at Tama Graduate School, Kyoto Institute of Technology and at Keio University. He also serves as advisor to Nikken Sekkei, one of the world’s leading and most innovative architectural bureaus. He also serves as President of Japan Innovation Network (JIN) and Future Center Alliance Japan (FCAJ). Innovation management: A pioneer knowledge ecologist, he has been involved in numerous consulting projects, ranging from knowledge management and design strategy projects, change management for design organizations to workplace development. He also serves on the jury of the Good Design Award (Japan’s most prominent design award). Intellectualizing Capability, awarded the Financial Times Global Best Business Book Award; De sign Thinking For Business; The Principles of Knowledge Creation Management; and Purpose Engineering.